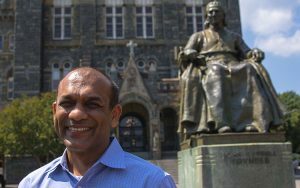 UWM alum takes passion for policy to Washington, D.C.
UW-Milwaukee alum Sumit Agarwal is a professor of economics and finance at Georgetown University. Being in the heart of American policy is perfect for his research and his passion — a passion that bloomed at UWM. 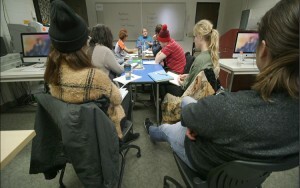 The Democratic presidential primary debate between former Secretary of State Hillary Clinton and Sen. Bernie Sanders gives UWM students a chance to hone and demonstrate their skills in a national setting. 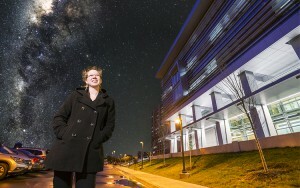 A home-schooled, first-generation college student, Renee Spiewak excelled at UWM, working side by side with professors on undergraduate research and winning National Science Foundation funding to study with scientists in Italy and Australia. An internship at Aurora St. Luke’s Medical Center helped introduce Gladys Gonzalez to transplant administration. She’ll continue work there after graduation. 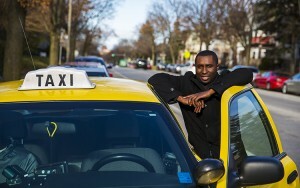 Igoni Igoni drove his cab at least 60 hours each week to pay the bills while focusing on his goal – getting a college degree in community engagement and education and being a role model for his two young children.